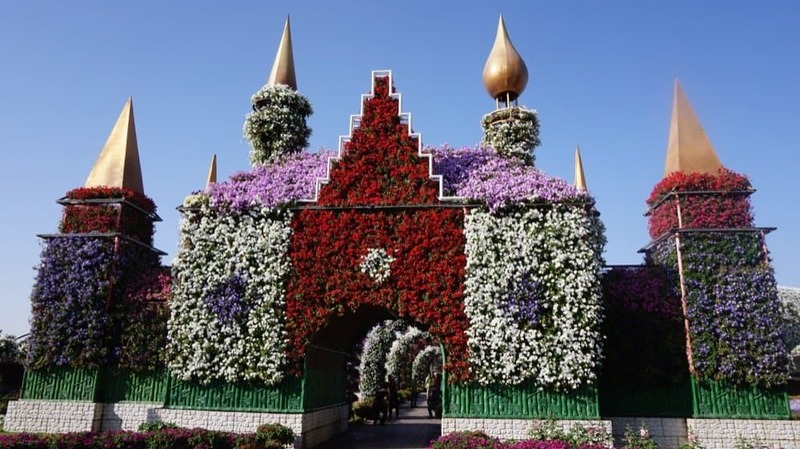 The Miracle Garden Dubai is one place I wanted to visit for about 3 years. 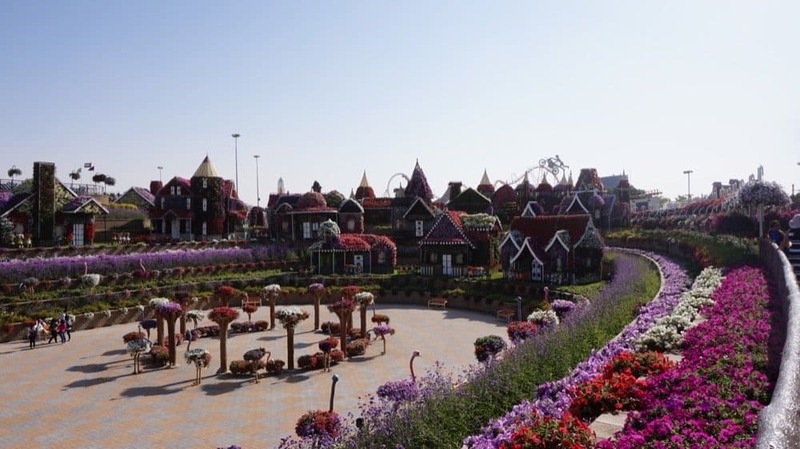 The Miracle Garden is a manmade garden created with various flowers in different shapes and forms. 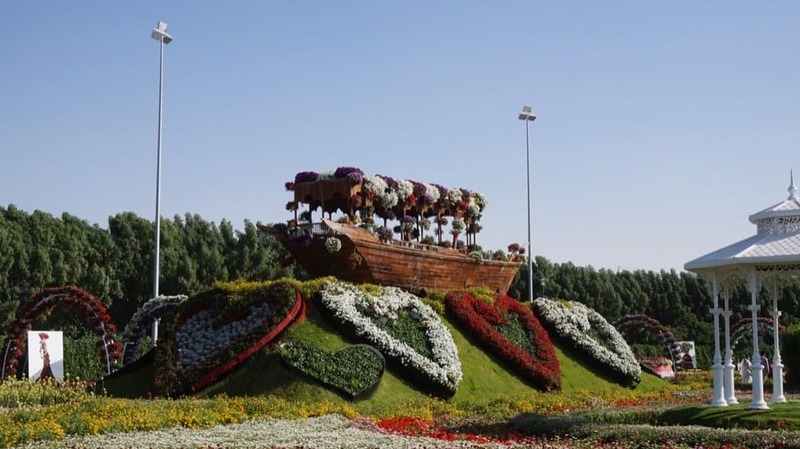 It is one of the popular Dubai attractions to visit. 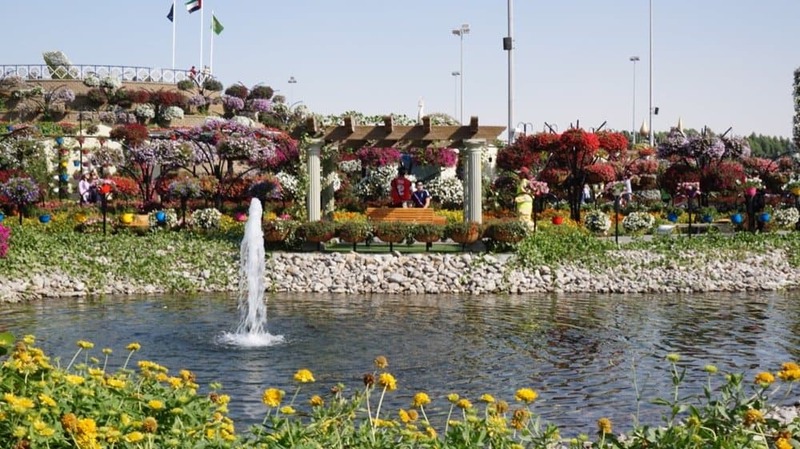 Sadly every time I was in Dubai it was during a time when the garden is not open, the garden operates November to April. 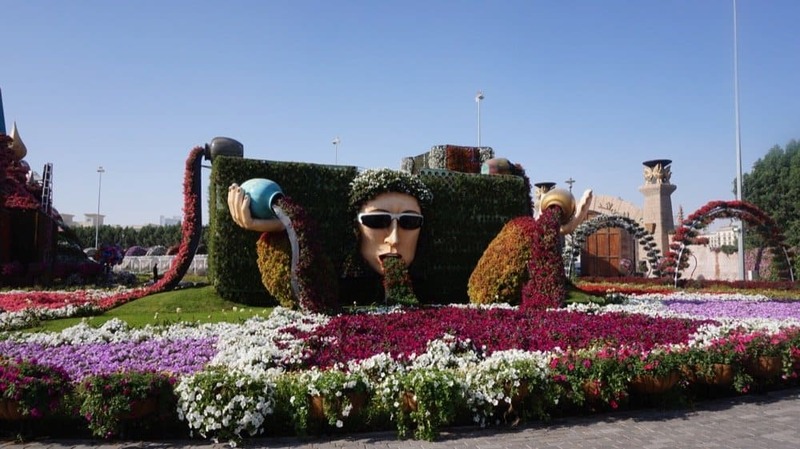 I usually tend to go to Dubai in October.However, now that I am based in Doha and I was up for my visa run, it was the perfect opportunity to visit the garden. 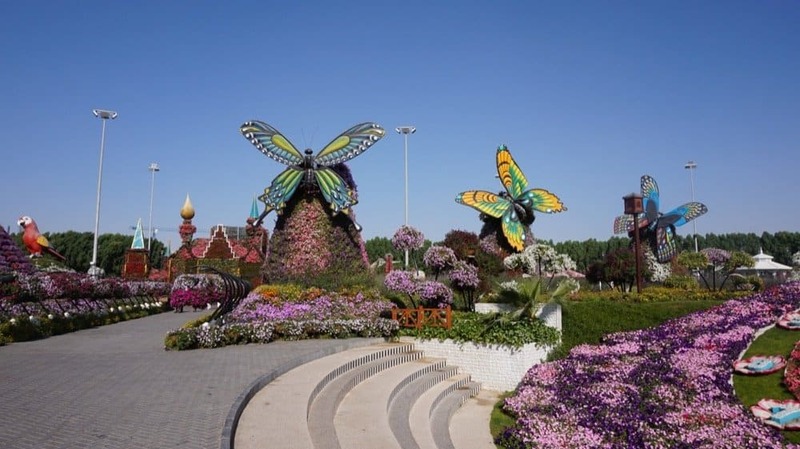 The Miracle Garden in Dubai is situated in Dubailand, which is a little out of the main areas of Dubai, somewhere between desert and construction work. 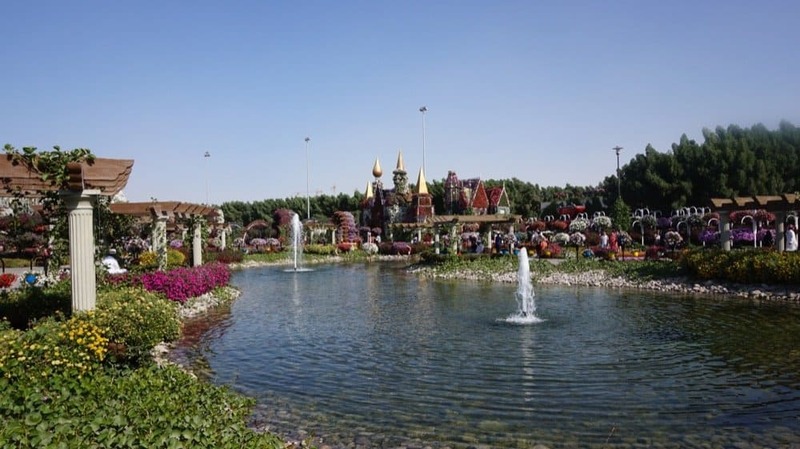 It is not the most easily accessible location but considering that many of the other attractions are in similar areas it’s easy to reach by taxi. 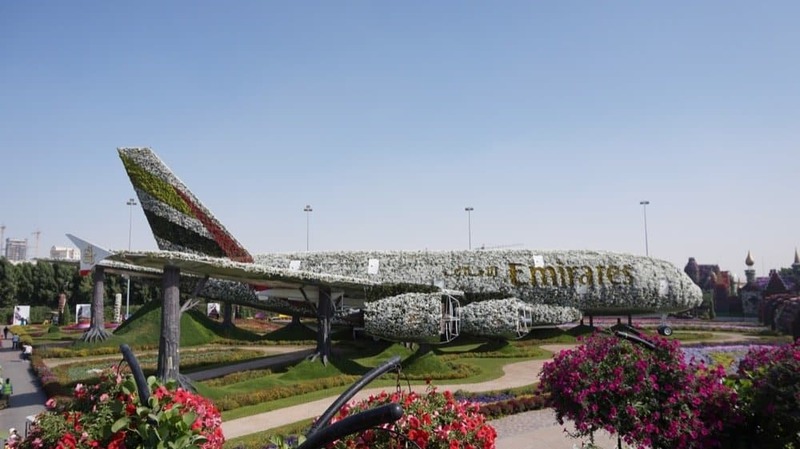 A taxi from the Conrad Dubai where we were staying to the Garden cost us about 46AED and the entrance to the Garden costs 40AED which I find to be very reasonable considering the amount of maintenance it requires but also the fact that Dubai is not the cheapest city. We arrived at 9:40 am and I think if I ever visit again I will go at 9 am, which is also when the park opens. Not for any other reasons but where we went, they were very few tourists and you could take better pictures and enjoy it more. After about 10:30 am there was a tourist bus that arrived and many more people. Still, enjoyable but not as quiet. 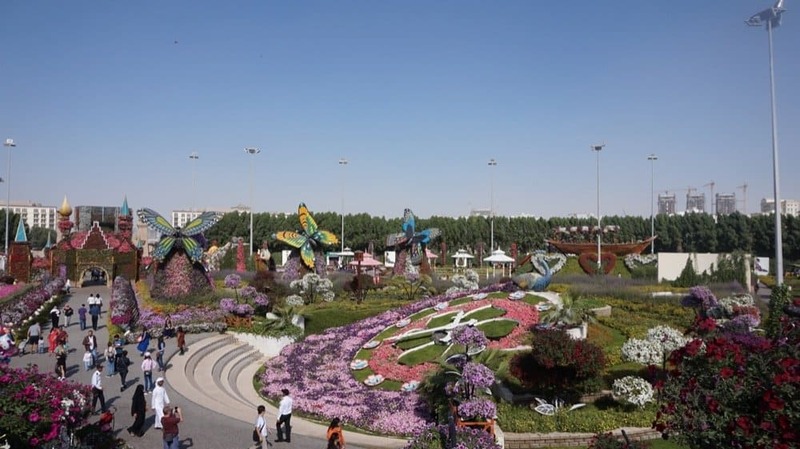 At first, I didn’t expect the garden to be as big but in reality, there are a lot of things you can see in the place. 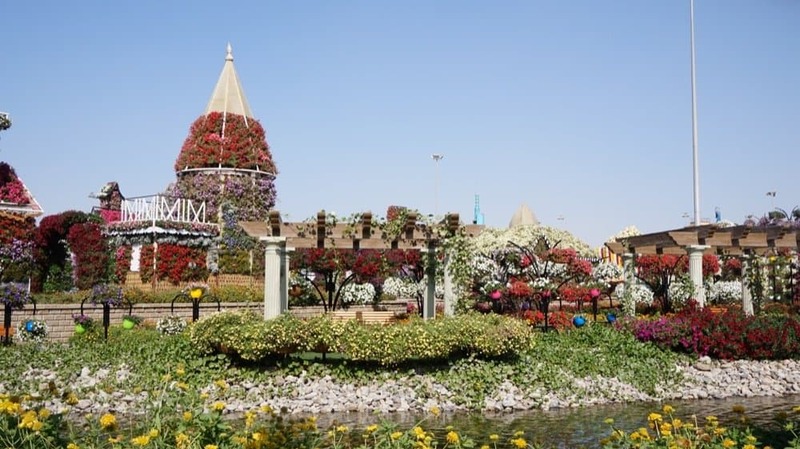 They have created a little lovely oasis in the desert with flowers on top of planes, houses, fountains and benches to just sit and relax. 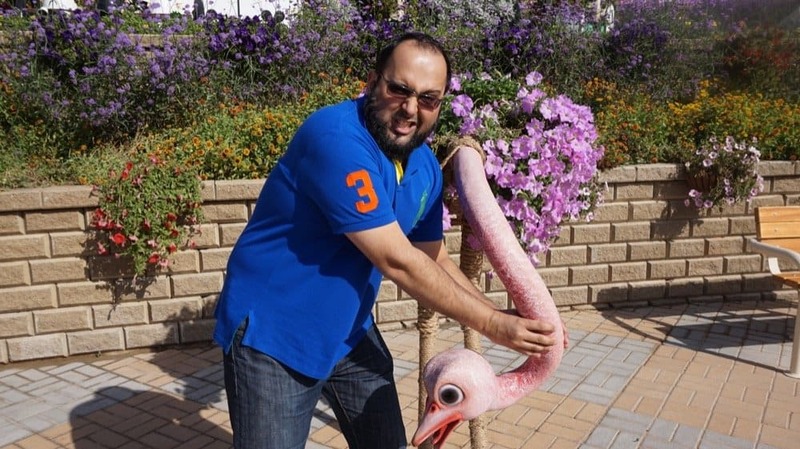 Even my husband who wasn’t keen on checking out a flower garden enjoyed the experience. Definitely, a place I can see myself just getting a book sitting by the fountain on one of the benches and getting into the “magic” world. 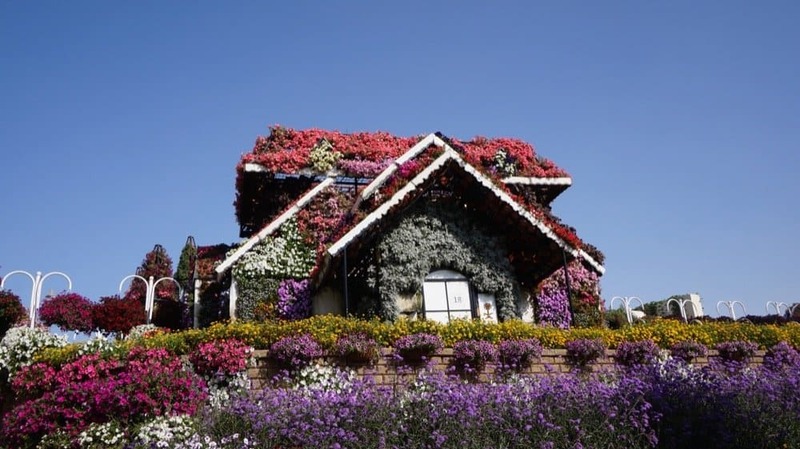 Below are some photos to transport you into the garden :). Hi …thank you for sharing your experience. 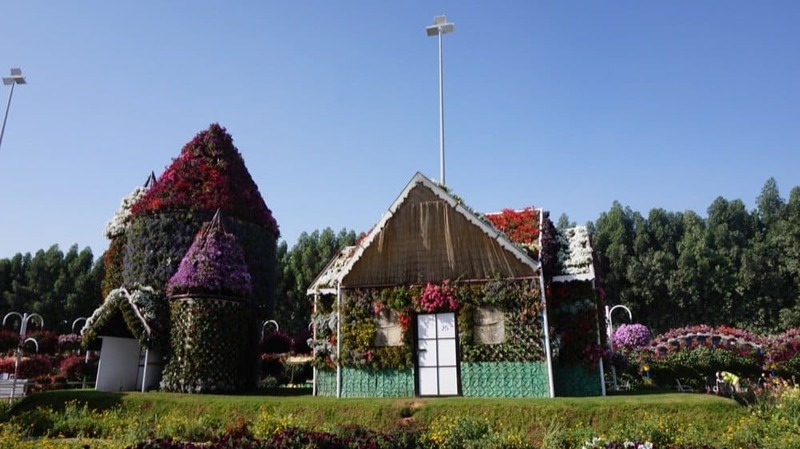 I’m just like you I been wanting to visit Dubai Garden for the past few years but to much commitment that I had to hold back. As for this year 2017…I determine to visit it. 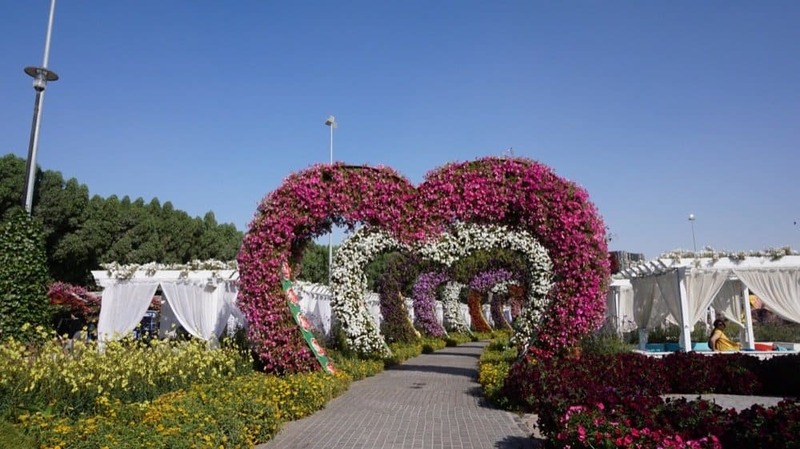 Insyaallah I will be there to see those beautiful flowers and also the creative flowers creation.